Speed or Starts, What Wins The 55m Title Most? Sprinting in general is a constant battle between timing, speed, and sometimes luck. 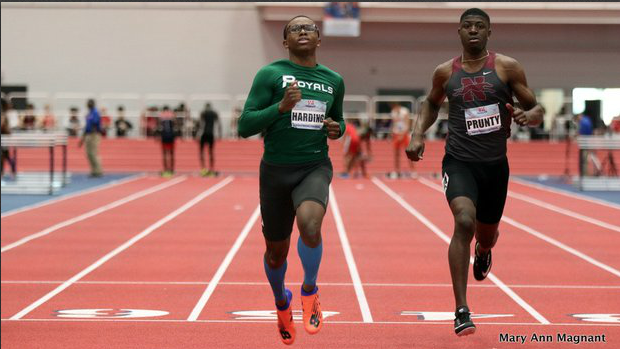 Indoors that mix focuses on the 55m dash which is an event that takes near perfection to win. At States that is amplified even more and almost every year sees a new athlete win. Thinking about the 55m dash and what it takes to win got us thinking. Is it the start or the speed that makes the difference in winning or losing the 55m state title? To look into that question and attempt to answer it we look at the past few years and the surprising stats surrounding this question. We start by making the distinction between speed and a great start. The best example of that being Usain Bolt who would usually be in the third or fourth place at the 50m mark and then run away from the field. The same seems to be true in the case in the 55 versus the 100. Yes, they are different events that require different distances to peak, but they also provide some unique stats. Below are the state champions for these events. When you look at those results you can easily see that winning the 55 leads to winning the 100 almost exactly 50% of the time. In fact, it would be exact had Noah Lyles not scratched the event in 2016. What this all means is that the 55 and 100 require different things to win. If the 55 was purely about speed then you would see many more winners winning both. Now we do understand the data is not anywhere near complete but when the ratio is at 50% it is very clear that something is different. The most likely thing of course being the starts. The 55 is a race that is dictated almost solely based on the start at the elite level. Having the top end speed is important too but getting down the track those first 20m is of the utmost importance. In sum, it is the starts, not the speed, that really make the difference between winning and losing at the state meet. To look into it further check out some athlete profile comparisons to see how 100m and 55m speed is very different.